Back in 1974 my friend John Goss teamed up with one of Australia's greatest-ever racing drivers, Kevin Bartlett, to take on the 1000km race around the Mount Panorama circuit at Bathurst, west of Sydney. 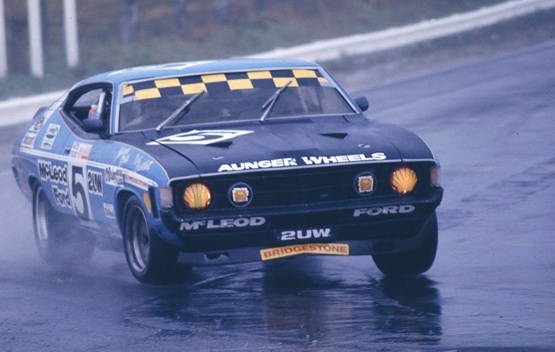 It was one of the wettest races ever held at Bathurst, and Gossy and KB splashed their way to victory in a V8-powered XA Ford Falcon hardtop. It was a glorious victory, for John Goss, who you might have described at the time as a 'real Aussie battler'; and Kevin Bartlett, who enjoyed a fabulous racing career in everything from sports sedans to open wheelers, eventually winning Australia's greatest trophy for open wheelers - the Gold Star, in 1968. 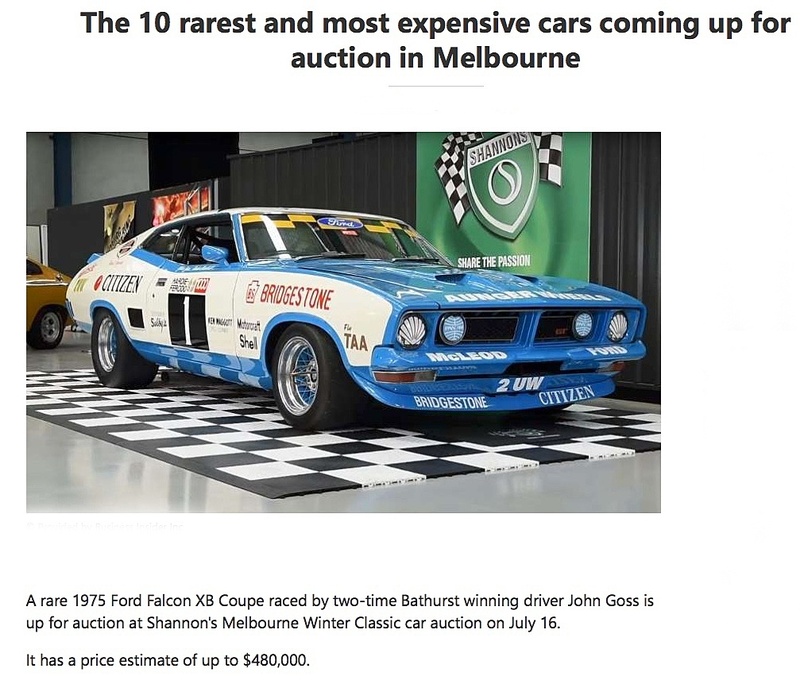 Now, Gossy's 1975 XB Falcon hardtop has been fully-restored, and in my opinion looks better than it did when it debuted on the grid 43 years ago. It goes up for auction in Melbourne tomorrow (July 16).